The NEC DTZ-12D-3 Digital Phone is supported on the Univerge SV9000 and SV8000 Series communications platforms. These innovative desktop telephones are easily customized to meet the specific communications needs of your employees. They support a wide range of applications to help improve employee efficiency and productivity. 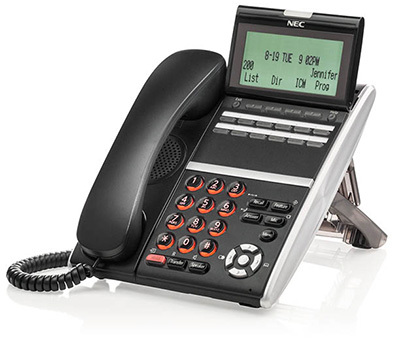 NEC's DT400 and DT800 Series display phones come standard with features for the visually impaired such as audio key action feedback and large character displays.